Locked out of a car? Fort Worth Towing is Standing By! Towing Fort Worth outperforms other towing companies not only in the level of quality of technical work we and our network of independently owned and licensed affiliates provide but also in our ability to offer addition expert services, especially our car lockout solutions. Along with our reliable car towing and roadside assistance, our car lockout services are also well established and reputable. Technicians are available 24 hours a day, 7 days a week and can arrive at your location within a really fast response time of your call! All of the above services can be performed on the spot! 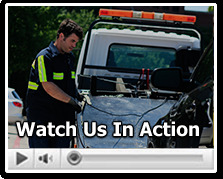 No need to tow the vehicle to the car dealership or call another car lockouts. Our auto lockout service can provide a variety of car lockout solutions that can help save you time and money. Since we carry the most sophisticated equipment and computers, our solutions can be applied across a wide range of car makes and models. Do you have a remote key with a microchip? Not an issue. Transponder key programming can be accomplished on the spot and you can have a replacement key and be on your way without towing! Our technicians can expertly lock pick cars across multiple makes and models and even work on an ignition key replacement. We will assist you during your car lockout situation in the safest way, without causing any damage to the car door or auto lock. Your satisfaction is our highest priority! From towing to car lockout services to roadside assistance, we are committed to providing our customers with the highest level of quality service. We understand that car lockout situations can cause a lot of discomforts especially if you are caught outdoors in the middle of the night or even worst, in an unsafe location all by yourself. Call us at (817) 886-8332 and we will strive to have a technician by your side within fast response time!